I'm fresh off of a beautiful beach weekend in sunny Sarasota; I'm a little burny and a lotta' pumped to get crackin on my new series "more ways monday." On Mondays, I will be showing you more ways to wear/get extended use out of your clothes and accessories. The name of the game is providing perspective and new appreciation for new or "well loved (not old because as you know trends circle back around and items become vin-taaaage)" pieces in your wardrobe. First stop... the fabulous fedora! 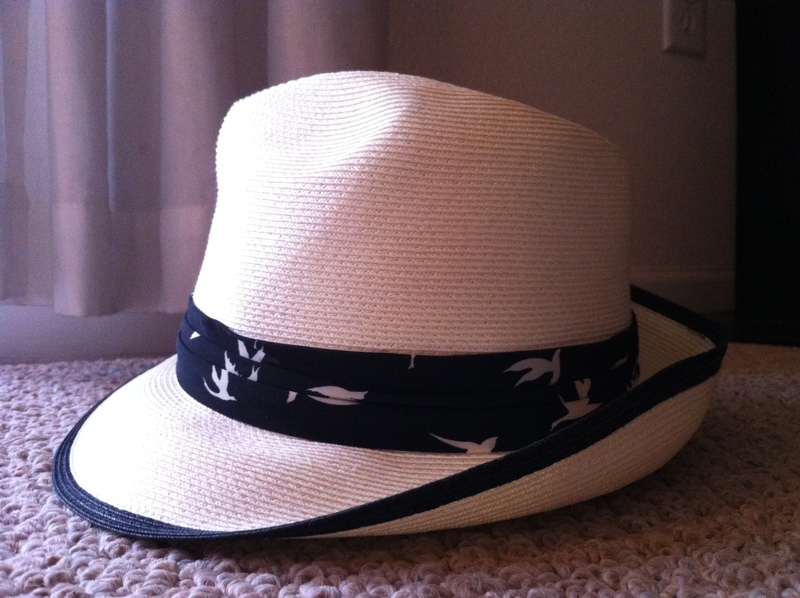 Fedora's are a fun and easy way to add some personality to a beach cover up, a maxi dress, and really anything during the summer months. Luckily, this one (from my favorite Jacksonville boutique Therapie) already came with a beautiful bird scarf attached to the body. I want to take it a step further and give you some options of how to dress this bad boy up even more so that you can wear it for a night out, a "dressier" occasion, and truly anytime you'd like. The first and easiest option is to choose a light-weight scarf that you can tie a number of ways. You can tie a bow and face it toward the back or side, and you can leave the ties long (as I did) to allow the scarf ends to blow in the breeze--creating movement. If the scarf is shorter, you could even tuck in the ends. 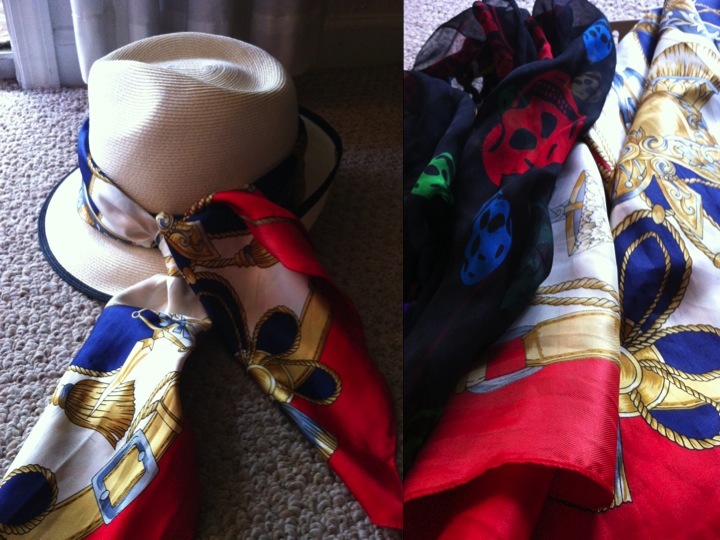 With scarves, the possibilities are endless, as you can change them to match any outfit and create any look you want. 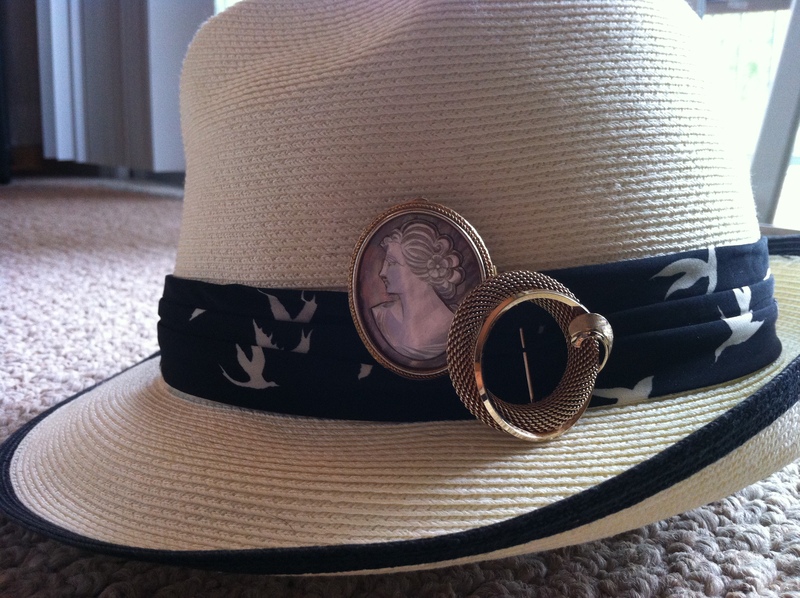 This makes your fedora interchangeable and keeps it fresh. 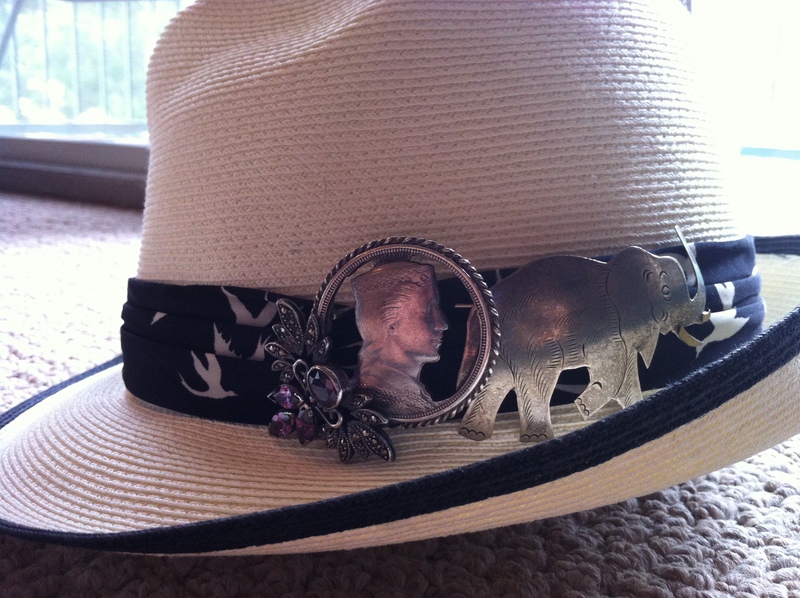 This is where you can continue to customize your fedora and add flourishes of family memories, funky metals, and fun texture. These brooches have been sitting in a drawer and needed some new life. 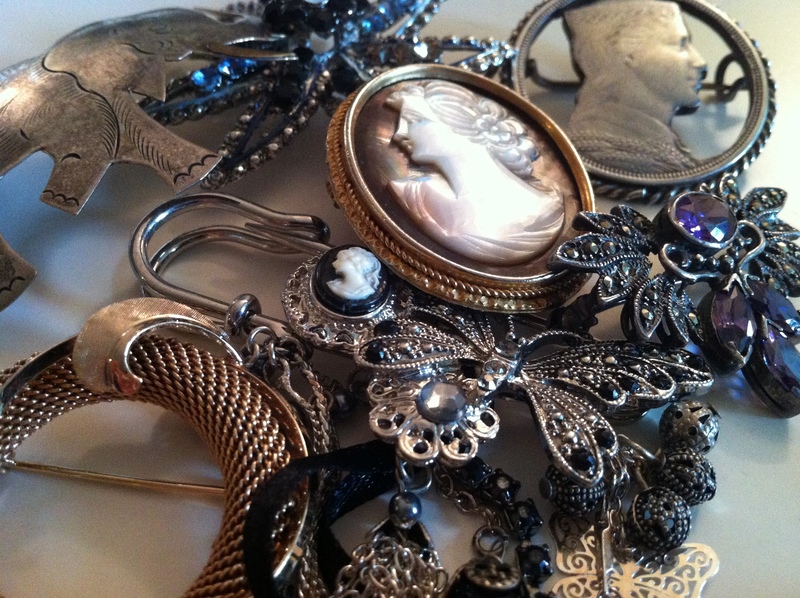 Whether you like one brooch or multiple ones... go on whitcha' bad self! I prefer to layer my brooches to give depth and add personal meaning. This mix is very special to my mother's side of the family and my Latvian heritage. The center brooch is a Latvian coin that was cut out and made into a pendant, given to me by my grandmother, and the purple-stoned brooch was given to me by her sister, my great aunt. The elephant was also given to me by my grandmother. The above mix is also special to me as these brooches were given to me by my future mother-in-law; They were treasured and timeless pieces from my fiance's family in New York. Rather than having them sit, they can now be showcased and enjoyed as beautiful ways to honor that family too. So there it is ... your first "more ways monday" Keep the creativity flowing and feel free to share with me your own fedora sass!